Star kids or outsiders, here are the most promising young debutantes to watch out for. FROM negotiating the paparazzi to posting a�?philosophicala�� tweets (think Jaden Smith), young stars of today know how to handle fame. And every few years, when we are introduced to a new set of youngsters on the brink of their careers, they impress us with their acting chops. While Hollywood has many such stories (case in point, Leonardo DiCaprio, or more recently, Dakota Fanning), here is our pick of those who are coming up with their debut movies. Maya is not just about her strikingA� resemblance to her mother, Uma Thurman.A� She is making sure that she also gets herA� basics right in acting. SheA� recently enrolledA� in The Julliard School of Dance and Music, Manhattan, which we believe will come inA� handy for the 18-year-old when she shootsA� for her first feature movie, Get Lost.A� Directed by Greek director,A� Daniela Amavia, it premieres next year. 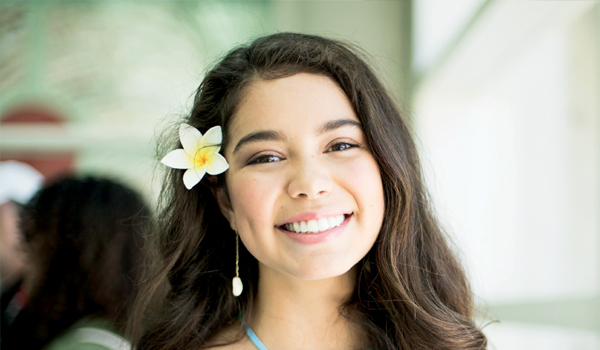 This American has flawless Hawaiian features; perhaps why the 16-year-old was selected out of over 100 auditioners for the title role of Disneya��s upcoming animation movie, Moana. In this musical comedy, Cravalho plays the daughter of a Polynesian tribal chief who sets sail to discover a secret island. Her co-stars include Dwayne Johnson and Nicole Scherzinger. The film hits theatres next month. Like Maya, Kaia also resembles her mother, supermodel Cindy Crawford, right down to the trademark facial mole. But unlike the latter, who made her Hollywood debut at the age of 29, Kaia is entering the industry at just 16, with Sean Hanisha��s Sister Cities. She plays the younger self of Carolina, one of the four main characters (named after the different states in the US). Out this month on Netflix. The 21-year-old Californiana��who stars in Jessica Goldberga��s TV series, The Patha��was lucky to land a role in Minhal Baiga��s One Night, after the actor playing one of the leads backed out. Allen is paired opposite Isabelle Fuhrman, who plays one of the two protagonist couples in the movie. Trained in acrobatics and classical ballet, he will be seen today at the filma��s premiere, at theA� Austin Film Festival. Michael Jacksona��s daughter, Paris, who recently posted a series of videos on Instagrama��where she talks about how much online bullying and hate has affected hera��is currently preparing for her role in Lunduna��s Bridge and the Three Keys. Directed by David Winning, the movie is based on under-sea magic. Can the 18-year-old carve a successful career in movies, considering that the King of Pop himself acted in around five?